Colour is one of the main resources in architecture and interior design. It has the ability to alter the character, shapes and lines of a design, as well as affecting the mood and the size of the space. The possibility of customising each element is increasingly important, both in designs and the finishing options. It is colour that plays a major role when providing a bathroom atmosphere with that all important distinctive touch. Being well aware of this, the firm specialised in bathroom equipment from the PORCELANOSA Grupo, has banked on looking into new colours and finishes in some of the most outstanding collections. Designs which are able to project different expressions from the same model of taps, shower heads, bathroom furniture, basins, bathroom accessories or bathtubs from the firm. In relation to decoration and design, bathrooms have become one of the most carefully worked spaces in a house. A growing number of people are opting for original pieces, without compromising functionality and practicality which this personal care space entails. Copper has become one of the trends which has provided the aesthetic set of bathrooms with the highest levels of originality and exclusivity. 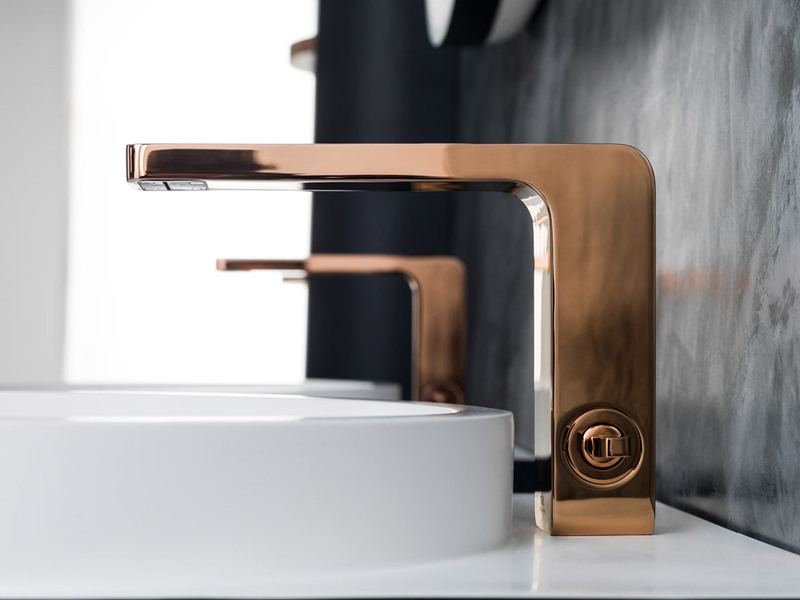 Both in taps, shower heads and bathroom accessories, the industrial character of copper is ideal for private projects, as well as for public spaces such as: hotels, restaurants, airports or commercial spaces. Some years ago, it seemed unthinkable to include some black coloured equipment in in the bathroom. The fact is that bathrooms are increasingly succumbing to this trend, whose versatility and personality are its main decorative advantages. Chrome is still very much part of the bathroom both in its most futuristic version and in its most traditional character. We are dealing with a timeless colour which provides the perfect balance between a contemporary style and a classical one. Other key aspects are the white taps , which are ideal for those who are fond of bright minimal atmospheres. The serenity and clearness exuded by the matt white are applicable to other bathroom items such as the basin or the bathtub. Through the high-technology mineral composition Noken Ceramic®, a pure white matt colour is achieved which gives off a minimal style of highly unbeatable quality. For those bathrooms seeking a strong futuristic style, one of the best options is the titanium finish. One can find in Noken design tap pieces which provide a dark greyish matt like finish. Furthermore, Noken offers a wide range of natural colours for atmospheres which look for a pure sober touch of colours such as: white, black and grey in their most natural version. 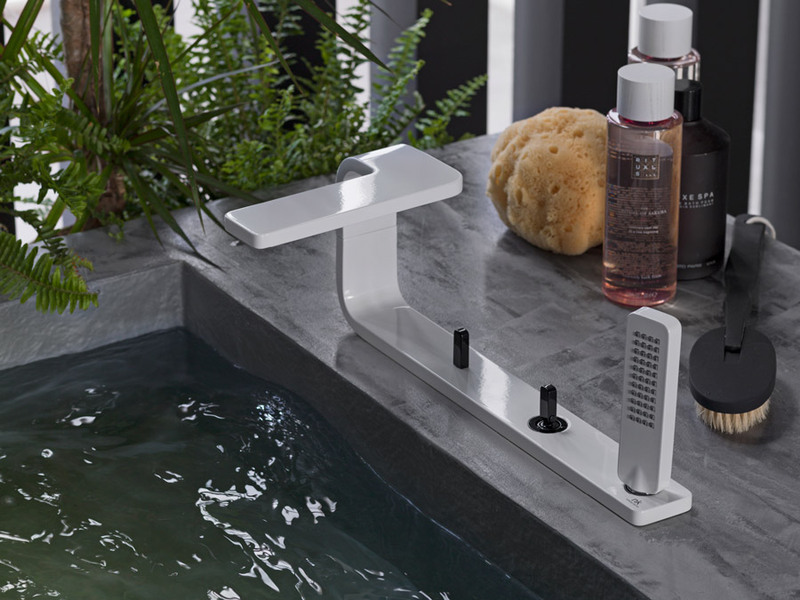 In conclusion, the special finishes in bathroom equipment mean big changes when providing the bathroom design with character, which customises the spaces to each user’s taste.